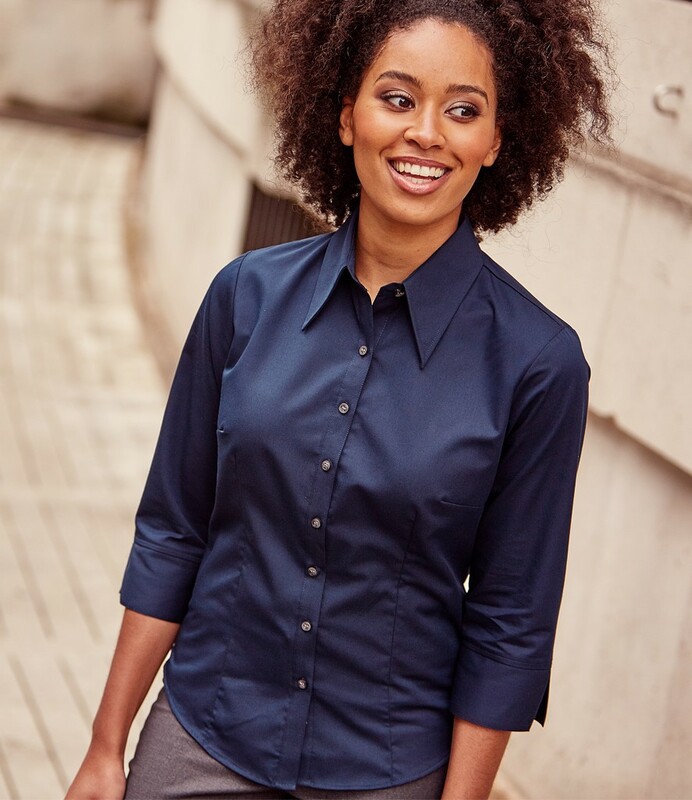 Made with Tencel, a natural fibre with built in moisture management, this stylish shirt keeps the wearer dry and cool. Stylish and relaxed, long edged collar. Contrasting deep pink satin ribbon at neck seam (white ribbon for white shirts). Square ended deep cuffs with side splits or ease of movement. Gusset panel on side seam hem. Rounded hem.